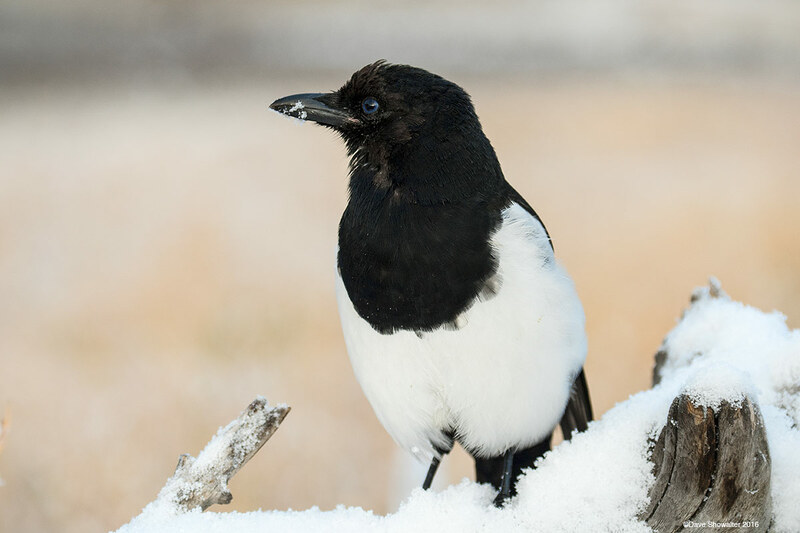 Black-billed magpies, common in the west are notoriously smart corvids that are challenging to photograph. Squawking, chattering, and omnivorous, often scavenging on road kill, magpies are great fun to observe. Surprisingly, while lying in the snow photographing next to renowned photographer/friend Tom Mangelsen, this magpie visited at arms length, moving snow around with his beak looking at us - I guess we were where he likes to hang out. A serendipitous moment in nature. Photo © copyright by Dave Showalter.